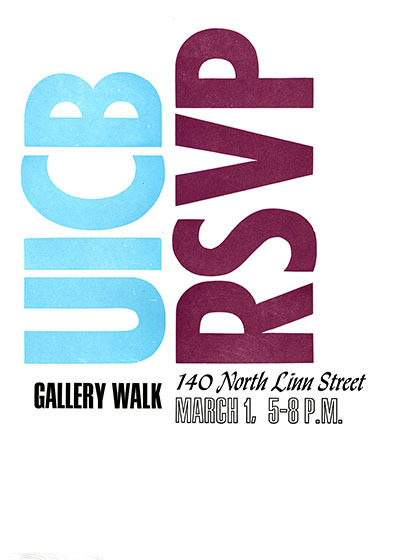 RSVP will again host the UICB during the 2019 Spring Gallery Walk. We look forward to this annual event each year. Stop by on Friday, March 1st, during the exhibition opening reception (5:00pm–8:00pm) to see new work from the University of Iowa Center for the Book. For more information about the Gallery Walk program, check out the Iowa City Downtown District website(link is external).